…positively guiding clients through financial problems. The Law Office of William R. Pascoe in Marin County represent individuals and businesses throughout the San Francisco Bay Area, including the North Bay and Marin County, in bankruptcy proceedings and debt negotiations. 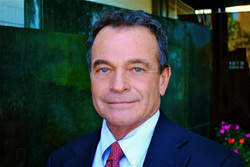 William R. Pascoe was admitted to practice law in California in 1972 and opened his his own firm in Marin in 1979. Mr. Pascoe is well known for his successful track record of securing favorable outcomes for clients. Our office is compassionate and competent and we work diligently to understand your individual story so that we can advise you effectively and determine the best strategy for resolving your financial problems in a cost effective manner. We understand that our clients are experiencing a difficult time. We make sure to address your concerns appropriately and to help secure your peace of mind. We work with our clients personally to develop creative and customized solutions in cases of any size or complexity. We help you use bankruptcy as a tool to achieve your long-term financial goals. Our clients appreciate our inclusive and informative approach, knowing that we are looking out for their interests. Call the Law Office of William R. Pascoe today to schedule a half-price initial consultation and find out how we can help you with your financial needs. the highest rating for legal ability and ethics. He attended the University of California Santa Barbara, Oxford University, England and Harvard Law School. He also served as a Navy JAG Officer. Personal service — We deal directly with our clients and listen attentively to your story. We deliver timely and informative responses to ease the stress of your financial problems, and we work closely with you to guide you through this stressful situation. Competence — We understand that this is a critical time for you or your business, and we provide competent legal support to help you get back on track. We explain your options and potential issues meticulously so that you are informed and able to make the best decisions under the circumstances. Experience — William R. Pascoe has more than 40 years of experience securing favorable outcomes for clients and has the knowledge necessary to lead you to a successful resolution. The Law Office of William R. Pascoe offers quality legal services and sound advice to debtors in matters of personal bankruptcy, business bankruptcy and out-of-court settlement with creditors. Personal bankruptcy— For individuals, we advise whether filing for bankruptcy is the most effective way to take control of your debt. Business bankruptcy— We help struggling companies use business bankruptcy as a tool to make it through difficult times and emerge as stronger, more competitive businesses. Bankruptcy Alternatives – We are able to utilize an array of bankruptcy alternatives to reach out of court settlements with creditors and avoid bankruptcy. 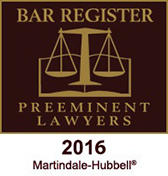 Contact a Marin County bankruptcy attorney today. For support in filing for bankruptcy or representation in debt negotiations, call the Law Office of William R. Pascoe in San Rafael, California at 415.492.1003 today to schedule a half-price initial consultation, or contact us online.